KanJam is one of those favorite party games that has been growing in popularity. It’s actually one of the main reasons that inspired us to start this website. As far as Outdoor Games standards go, KanJam is in our Top 5 Best Best Backyard Games. 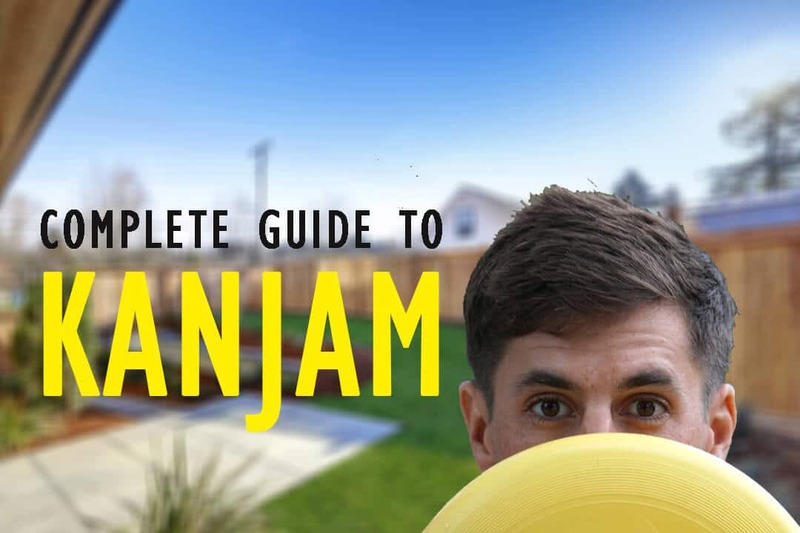 If you are not familiar with KanJam yet, read our Complete KanJam Guide. 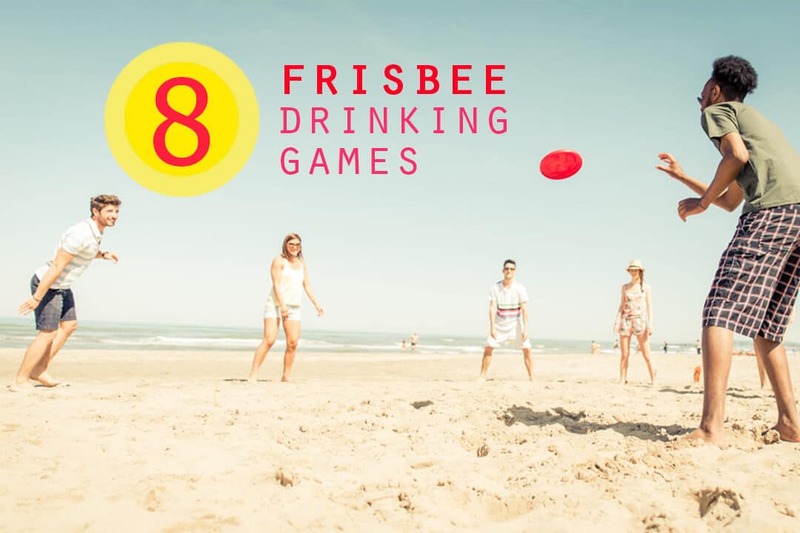 For that adult BBQ or all night drinking fest, we have created some of our very own rules to alter this already epic game, into an epic Frisbee Drinking Game. This is not the official rules, we have created the KanJam drinking rules just for our readers. So grab your drink of choice, whether that be beer or wine and have fun! The KanJam drinking rules are all subject to having a drink in one hand. We are pretty sure that the official KanJam rules only use one hand to deflect is so you can have your favorite beverage in hand. That’s our interpretation atleast! Always Have A drink in your hand. This game is fun on it’s own, and adds a challenging twist as the game progresses. See who can keep up. You can choose at the beginning of the game if each person on the team takes a drink or if each partner on a team takes a turn drinking. If you notice your competitors drink is relatively low the honourable thing is not to be a jerk and nicely point out that they have been sipping on their drink. At this point you are able to use a variety of names, ask them if there was any milk in it “because they are sure milking it” for far too long or they are a cheating lying scum bag. After this politely ask them or your partner to hold the game so they can at least finish their drink and get a new one. Please take into consideration if they are drinking doubles or triples. If you don’t have your own game of KanJam, buy Kanjam Online at Amazon.com, if you intend on playing this drinking game late into the evening, you might even want to consider the glow in the dark KanJam version. For this KanJam drinking game, you will need 4 players, 2 people on each team. First you must setup the KanJam setup like the official rules outline. Setup your 2 KanJam goal “bins” approx 15 feet apart from each other. One person from each team stands on either ends of teh KanJam court. One person is the Deflector, one person is the thrower in each round. After each round, the roles reverse. The deflector must always remember that while playing the Deflector they are only allowed to use one hand. The other hand MUST have a beer or alcholic beverage! Each player must remain behind the goal when throwing. If they pass the goal line and score points, no points will be awarded. 1. No points if the Frisbee hits the ground. 3. If the opponents team interferes with the Frisbee, 3 points are awarded to the throwing team. 4. You must reach 21 points exactly to win. If your points raise your score above 21, the points are instead deducted from your score and you keep playing till you achieve exactly 21. 5. Each team must complete an equal amount of rounds. If a team reaches 21, the opposite team still has a chance of redemption throw to do the same. 6. In the event of a tie in redemption round, the game continues to an overtime round. Each team completes one throw and the team with the most points wins. The points scoring system is the same as a traditional game of KanJam. 1 Point = If the Frisbee hits any part of the goal redirected by the Deflector. In KanJam drinking rules, the other team takes a drink. 2 Points = If the thrower hits any part of the goal directly. In KanJam drinking rules, the other team takes a drink. 3 Points = Deflector redirects the disc and lands it inside the goal. In Knajam drinking rules, the other team takes a BIG drink. Instant Win = Direct entry into the slot on the front of the goal. This must be unassisted by a partner, if it is assisted it’s 3 points. If an Instant Win occurs, the other team must slam their drinks. In KanJam drinking rules, the loosing team slams the rest of their drink! We hope that our version of KanJam drinking rules provides you with lots of entertainment, and hopefully not too much of a hangover.